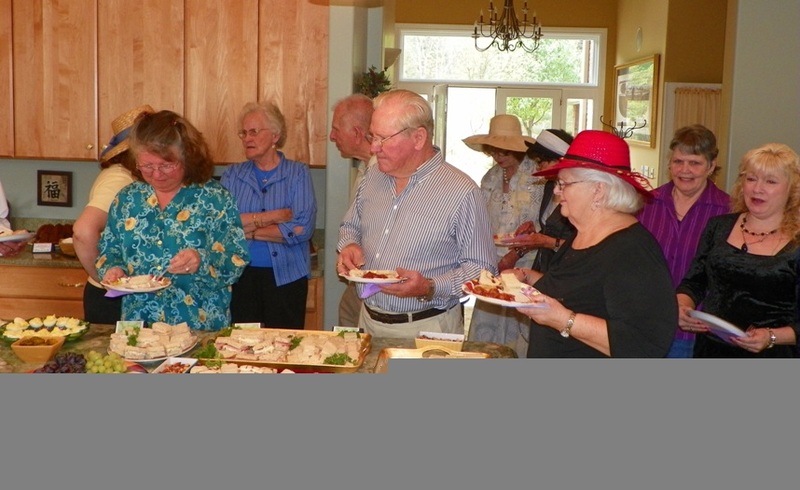 Spring and Fall Gatherings: Every May and October the Foundation sponsors a group retreat and gathering. These gatherings are designed to support connection, shared wisdom and insights, and to enhance the experience of Universal Love. Led by Nina Zimbelman, these events often include an optional yoga class, led by Cathy Woods, a QiGong class by Dr. Patricia Johnson and a dance class led by Shaun Conroy. A musical group, Shantavani, joins us from Asheville for a Saturday night of wonderful music and connection. Click here for the Fall 2011 Flyer. Tea Parties: Our Tea Parties began in 2007 when a dear friend invited 6 others to afternoon tea. The intention was to step aside from the norm of a Tuesday afternoon to connect and allow space for the spirit of play. The idea caught on. Soon people set aside time to gather for Tea. In this intention and spirit, we host Community Connections Tea Parties. Four such events were held on Saturday afternoons in 2010, and Tea Party was held in April 2011 with up to 70 people in attendance. Everyone is invited. The Parties are an avenue for the Robbinsville community to come together for the sole intention of deeper, heart connections. As with traditional Tea Parties, hats and dress-up are welcome. Tea, coffee and light refreshments are served. Private Retreats: The Foundation is available for private and corporate or specialized group retreats. Some people just want to come for a reflective quiet time where they are nourished by the beauty of nature, comfortable accommodations, good food and optional amenities like massage, hot tub, and swimming pool. Small organizations or board retreats can be designed to meet special needs.